Babar, the founder of Mughal dynasty, had arrived in India in 1526, a period when Muslims were already settled in India for centuries [more than 700 years* before his arrival]. And the Sultanate in Delhi had seen umpteen rulers belonging to Slave, Khilji, Tughlak, Syed and Lodhi dynasties for almost 500 years when Babar came. Still, owing to popular culture and the rhetoric during Ayodhya temple movement, Babar** is often seen more as ‘The invader’, on lines of Mahmud Ghaznavi and Mohammad Ghori. The difference was that Babur didn’t plunder and leave. Babar [born 1483] made India his home, lived here and also died here [death 1530 AD]. His successors were thus Indians. Just to recall that Zahiruddin Muhammad Babar [also spelt as Babur] didn’t bring Muslim rule to India, which was well-established here from the era of Qutubuddin Aibak and even before his reign. Either it was the attacks by Huns and Shaks or the medieval period when Turks and Mongols turned towards India, the invasions were not about religion. When Babar came to India, a Muslim king Ibrahim Lodhi was the Sultan, who ruled Hindustan from his capital, Delhi. Babar’s army defeated him in Battle of Panipat in 1526. History can be interpreted in different ways but it can’t be erased. Babar was yet to establish himself as the supreme monarch as he faced strong opposition and the Lodis hadn’t given up as yet. The biggest challenge was the strong-headed Raja Hasan Khan Mewati, the Rajput chieftain whose ancestors had been ruling the region [Mewat] for long [almost two centuries] and who had declared himself as a sovereign King. Hasan Khan Mewati was ready to take on Babar's might. He formed a grand alliance to take on the Mongol. Along with Rana Sanga, the ruler of Mewar, Hasan Khan Mewati allied with Chittaur's Sisodia Rajputs and got ready to take on the forces of the Mughals. Besides, several other Rajput chieftains, Afghan chieftain and Ibrahim Lodi’s brother Mahmud Lodi was also supporting this confederation. In his memoirs Babar recounted later how he was troubled by Hasan Khan Mewati. In Baburnama, he refers to Hasan Khan, who ruled from Alwar and around, as ‘the sole leader of all trouble and mischief’. He even termed him as ‘impious mannikin’. Hasan Khan’s ancestors had earlier given trouble to Bahlul Lodi also. Though Delhi and Agra had been won, a decisive victory was needed to establish Babar’s suzerainty in North India. It was in 1527, when the historical battle of Khanwa took place, almost 50 km near Agra. It is wrongly dubbed as a Mughal king’s battle against [Hindu] Rajputs. Rana Sanga and Hasan Khan Mewati alongside other Rajput kings and Mahmud Lodi, fought against Babar’s army that was also supported by several Hindu Rajput chiefs. Hasan Khan Mewati commanded an army of 12,000 soldiers. He fought bravely but died in this battle. It was theartillery that gave Babar's army an edge. Though he was forgotten, years later the Mewati history termed him ‘a martyr’. Folklore and right-wing nationalism had termed it as Hindu India’s battle against an invader, Babur. Mewat was for centuries a troubled area for the Sultanate. It was Rana Sanga who had sought Hasan Khan’s cooperation in taking on Babar. It is often not mentioned and remains mostly in history books that who had invited Babur to India. Apart from Daulat Khan, the Governor of Punjab, who was harassed by Ibrahim Lodi, and Lodi’s kin Alauddin Khan, Rana Sanga had also extended invitation to Babar. Rana offered military aid as well as financial support if he came from Kabul to take on Lodi. However, it was later that the relations between them got strained. Historians suggest Rana didn’t expect Babur to settle in India and considered him a threat to his influence. Babar accused him of breach of trust, as after inviting him, Rana didn’t help in his conquest. Historian Satish Chandra, in his book 'Medieval Indian history: Sultanate to Mughals', surmises that Rana Sanga felt that the conflict between Babar and Lodi would stretch and this would give him the opportunity to target regions which he wanted to have control over. Besides, he thought that Babar would return after the victory, just like Timur [Tamerlane]. The Hindus and Muslims, neither kings nor the subjects, in those days were as communal or bigoted as a section in both communities today is. Neither Rana Sanga's fight was not against Islam nor Babur's against Hinduism [he in fact fought the last Lodhi king]. They were simply driven by political considerations, power and personal ambitions. Babar describes Hasan Khan as leader of the ‘Mewat country’. Waqiat-e-Mushtaqi accuses Hasan Khan Mewati of creating a confederacy that was aimed at overthrowing Mughal power. It was after Hasan Khan Mewati’s death that the road to establishing the Mughal empire was cleared. Babur faced little resistance thenceforth. But Hasan Khan’s name had remained buried in voluminous texts or just mentioned in footnotes. 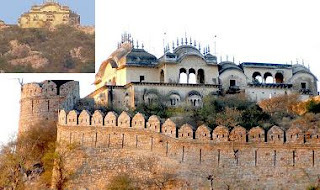 Mewat, located South of Delhi, is a region spread over Haryana, Rajasthan and also part of UP (Uttar Pradesh). Now there is a district ‘Mewat’ in Haryana also. Mews chiefly are Muslim but there customs are close to Hindus as well. The backward region remained off radar for decades except when Shuddhi-Tabligh movements had turned it into a flashpoint in pre-independence era but there is progress visible here. For Mevs [or Meo] their brave leader’s memory lived on. Now he has been resurrected as a hero.Over the last couple of years, Indian historians are again focusing on him. 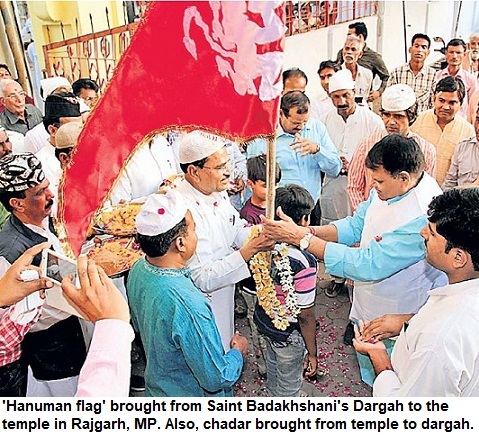 Eminent author Siddiq Ahmad Mev, who has written several books on the subject including the culture of Mewat, says that Hasan Khan was seventh ruler of the state founded by Bahadur Nahar. Hasan Khan ruled from his capital Alwar. He had built the Qila-e-Bala or fort at the top, which exists till today. He died on March 15, 1527. Now every year, a grand function is organized in his memory. Top politicians, litterateurs, Members of parliament, activists and Mewati leaders representing different groups pay homage to Hasan Khan Mewati on this day.